Did you get enough sleep last night? If yes, then we’re very happy for you. However, if that wasn’t the case, and you’re starting to find it not being the case more and more often, then you may want to consider having a word with your doctor. For those who couldn’t care less about having a good night’s sleep and don’t really consider it a priority, there is a good chance the next sentence would open your eyes and change your perspective. Reliable findings have discovered a link between Alzheimer’s and sleep, more specifically, that poor sleep increases one’s chances of developing Alzheimer’s disease. Yikes! That’s definitely something you want to prevent, especially if your family has a long history of being afflicted with chronic memory loss conditions. As a provider of health care services in Columbus, Ohio, we urge you to give more importance to your sleeping habits. Some studies have suggested that having sleep problems could be an early indication of Alzheimer’s. According to those conducting the research, healthy people who don’t often get a good night’s rest, despite being healthy, may have an increased risk of developing Alzheimer’s disease. While this research isn’t what you would call conclusive, it does provide evidence vital to determining the factors that contribute to the development of the disease. Fine tuning your sleep regimen is slowly starting to sound like a good idea now, doesn’t it? 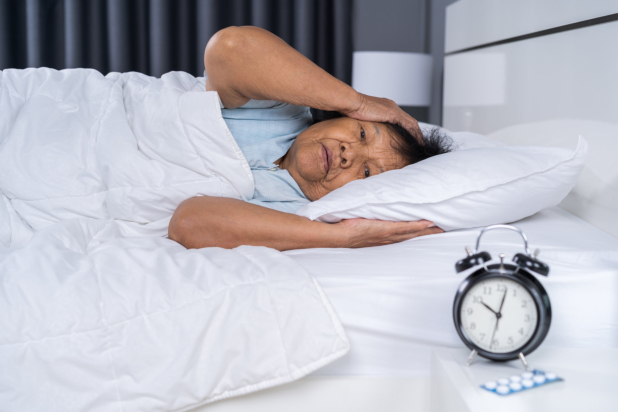 Findings from a few recent studies have shown that sleep apnea is, in fact, linked to an increased risk of dementia and accelerated progression of Alzheimer’s. It is this relationship that stresses the importance of getting effective treatment for apnea in order to hold back the development of Alzheimer’s and a few other forms of dementia. Take these essential steps to promote a healthy and resilient brain that is well equipped to combat the signs and symptoms of Alzheimer’s as well as other types of dementia. It might even help if you received care from a home health aide in Ohio who can visit you and provide you with in home care services. This entry was posted in Sleep Problems and Alzheimer’s and tagged Chronic Memory Loss, Health Care, Home Health Aide, Sleep Apnea, Sleep Hygiene, Sleep Regimen. Bookmark the permalink.